If your IoT business is looking to connect more customers in remote locations, become a Fleet Partner and work with us to certify your products and services as Fleet compatible and increase your revenue as a Fleet Reseller. 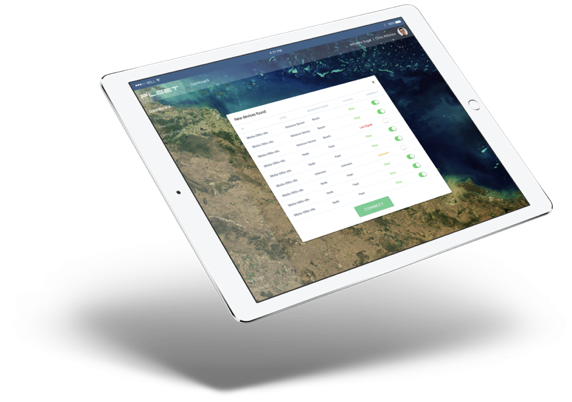 Ensure your devices work with the Fleet Portal for customers deploying in remote areas. Send us your device, Fleet's team will work to make sure its data can be decoded and used with the Portal's NanoAnalytics Platform. Your device will then be certified as Fleet compatible, added to the Fleet Device Marketplace to be sold around the world. Improve customer experience by ensuring out of the box integration between your software and Fleet's Nebula Cloud Platform, or write applications to run natively on the Portal. Complete the form below to get access to full API documentation and Portal software specifications. Expand into the booming Massive Industrial IoT market as a Fleet Reseller. Enable customers to transform their businesses in remote areas with Fleet and Fleet Certified products and services. Fill out the form below to get started. Please select the partner type that best describes your company.